Feed Communities alleviates hunger and increases healthy food access by cultivating sustainable food networks. In 2011, Denise Garner, local philanthropist and hunger relief advocate founded Feed Communities to provide solutions to hunger and food insecurity in Washington County. Today, Feed Communities’ programs services all of Northwest Arkansas and supports other community-based initiatives to fulfill our mission of increasing access to healthy food by strengthening our local food systems. 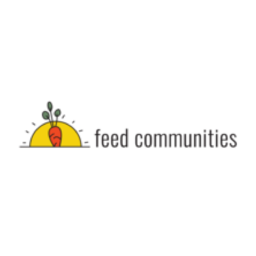 Feed Communities was founded in 2011 with the sole mission of ensuring everyone has access to high quality, nutrient-dense food. Today, we work with individuals, organizations, schools, universities, government agencies and foundations to create sustainable partnerships to increase access to healthy foods and improve healthy food choices for Northwest Arkansas communities. One of the ways we demonstrate our mission is to empower others to contribute and participate in it. Our Empowerment programs make it easy for others to get involved and to grow their own produce to help strengthen our local food systems. With community participation and support we get a little closer each day to relieving hunger in Northwest Arkansas. In order to increase the access of healthy food to more people, our Encouragement programs make it easy for community partners to share fresh produce with pantries, families and with each other. We are making a huge impact with these initiatives and are blessed with such a giving and supportive community! Not everyone knows about the seriousness of the hunger problem in Arkansas, much less Northwest Arkansas. It is our responsibility to educate our community on the challenge that faces us and to help solve this problem. Our educational programs consist of workshop programs that help others learn the fundamentals to increase healthy food access for their own families and to share with each other. Fortunately, our community is very active in the hunger relief movement, and we’re excited to be part of it. We are proud to support our community-based initiatives in various ways.